There is no ashfall being reported although there is still some steam and the earthquakes have subsided a bit. We are still seeing seismic activity creeping towards Katla as we reported previously this week at https://ahrcanum.wordpress.com/2010/05/22/icelands-katla-volcano-recent-earthquakes/ There were two mild tremors detected in the last 24 hours near the Katla volcano. Who turned off the volcano’s switch? A few days ago there was no end in sight. No end in sight but something is going on inside? Maybe something is going on outside. HAARP, CERN, FERMI and similar particle physics labs were doing the usual. There were no reports out of the ordinary unless, you call teleportation ordinary. Could it transmit a signal deep into the earth to cause an earthquake? Could the energy of a photon, atom or a HAARP array have the power to move energy from one volcano to another? Say to maybe Costa Rica? (PhysOrg.com) http://www.physorg.com/news193990952.html — By demonstrating how a single artificial atom can be used to amplify electromagnetic waves, physicists from Japan are opening up new possibilities for quantum amplifiers, which can be used in a variety of electronic and optical applications. Amplified electromagnetic waves?!? We already know HAARP’s high-frequency radio waves can accelerate electrons in the atmosphere, increasing the energy of their collisions. https://ahrcanum.wordpress.com/2009/10/16/earthquake-haarp-connection-evidence/ Now we are now talking about an Atom possibly having the same ability to amplify electromagnetic waves, if not into the atmosphere certainly here on earth..
Maybe the author is right, maybe he is wrong. Should we just take off our tinfoil hats and be happy that a major volcanic eruption in Iceland just stopped? For now, one catalyzing event that grounded air travel over much of Europe seems to be over. Too bad we can’t teleport in time to fix a whole lot of what is wrong in the world. Iceland’s Eyjafjallajokull last status shows a decline in the ash cloud. The ground continues to rumble and earthquake activity is increasing under the bigger volcano, Katla. The earthquakes at the Katla volcano site appear to possibly be increasing in frequency as of this moment (time will tell however). Since May 17 there have been four earthquakes at or very near Katla, while a 5th just on the edge of the Myrdalsjokull glacier. Although 4 or 5 earthquakes at the volcano site in 4 days does not indicate a drastic change in pattern, the interesting notation at the moment is the fact that the two most recent earthquakes occurred within 3 hours of each other on 21 May, 2010, at depths of 5km and 13km. That in itself is an increase in occurrence. It may be an anomaly, but it justifies keeping one eye on Katla, the big sister of Eyjafjallajokull. There is some correlation between earthquakes and the prediction of an eruption, but they are unreliable. Wouldn’t it be nice to know how to predict when a volcano will stop erupting? In Hawaii, the world’s longest erupting volcano, Kilauea began erupting 10,000 days ago yesterday. It began erupting January 23, 1983 and has no end in sight. Blogger Leigh Hilbert lives near the volcano and has daily updates and fabulous photos- http://hawaiianlavadaily.blogspot.com/2010/05/hawaii-volcanoes-national-park.html. I wish we could send him to Iceland for awhile to make the comparisons between the two and to provide better photos than we are getting from the press there. Are there no professional photographers in Iceland? The destruction began at 8:32 a.m. on May 18, when the north side of the mountain slid away after two months of intense earthquake activity and weaker eruptions. The landslide uncorked pressurized magma and released a blast so powerful that 1,300 feet of the mountain’s peak collapsed or blew outward, 24 square miles of valley was filled by a debris avalanche, 250 square miles of land was damaged by a lateral blast, and 57 people were killed. Iceland’s Eyjafjallajokull began the eruption in the same way, with an increase an increase of earthquake activity. Eya continues to erupt and cause disruptions, but no one has died and the lava has not spread 150 miles of devastation. Eya is holding us hostage, not sending us running for cover-at least not yet. It is Iceland’s other major volcano’s that are becoming increasingly the center of debate. Scientists are predicting decades of ash disruptions and predictions of eruptions from Katla, which lies only 15 miles to the east of Eyjafjallajokull volcanic eruptions. Lo and behold there was a quake beneath both Hekla on May 16 and Katla, May 17. via The Ice Met Office. Uh, oh. 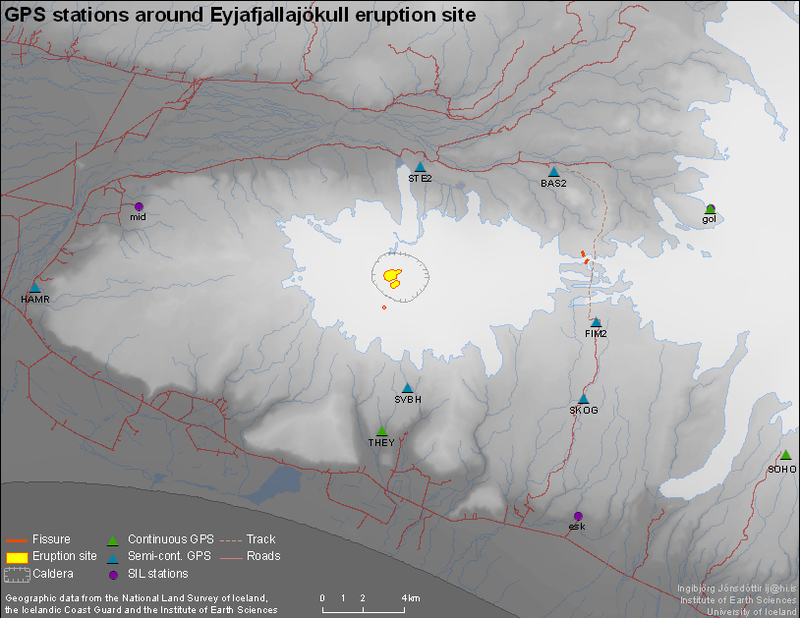 An eruption at Katla would cause very sudden jökulhlaups (glacier outburst floods). They occurred during the subglacial eruption in Eyjafjallajökull volcano but have slowed. Katla’s ice crater is estimated to be 2,000 feet thick and if she blows, that ice is going to melt fast and quickly wiping out everything in it’s path. It is the fourth largest volcano in Iceland -220 sq. miles (580 sq. km). A large caldera 9 miles (14 km) in diameter underlies the ice. Looking ever so peaceful, is the Hekla crater in this 2008 photo by David Adamson. http://picasaweb.google.com/thunder.son Hekla is 75 miles (120 km) east of Reykjavik and last erupted in 2000. Mount St. Helen’s and Iceland’s Eyjafjallajokull volcanic eruptions gave obvious seismic warning signs far ahead. A quiet Hekla poses a huge challenge for predictability, warnings and safety. Human curiosity via webcams and tours to view volcano’s are common. Falling to your death in one is not so common. In February 2010, Joseph Bohlig posed for a picture with Mount Rainier in the background when he turned around and took a final step on the cornice and fell to his death. link to sv.tinypic.com] [link to eldgos.mila.is] [link to www.ruv.is] [link to www.vodafone.is] [link to www.mulakot.net] [link to www.sat24.com] “We have limited TV footage of the volcanic eruption. It’s all the same shots, and the same angles. Surely there must be something new to show? And there was a shot of a car in a dust cloud. Easily staged, and the only “evidence” of dust,” wrote http://citizengodden.com/2010/04/16/iceland-volcanic-cloud-conspiracy/. One thing for sure, volcano’s and magma’s muscle put humility in man and the power beneath our planet. Watch the Mount St. Helen’s Volcano courtesy of your tax dollars at, http://www.fs.fed.us/gpnf/volcanocams/msh/. The Earthquake count at Iceland’s Eyjafjallajokull volcano had a total of 103 earthquakes occurring in the area with in a 48 hour period. 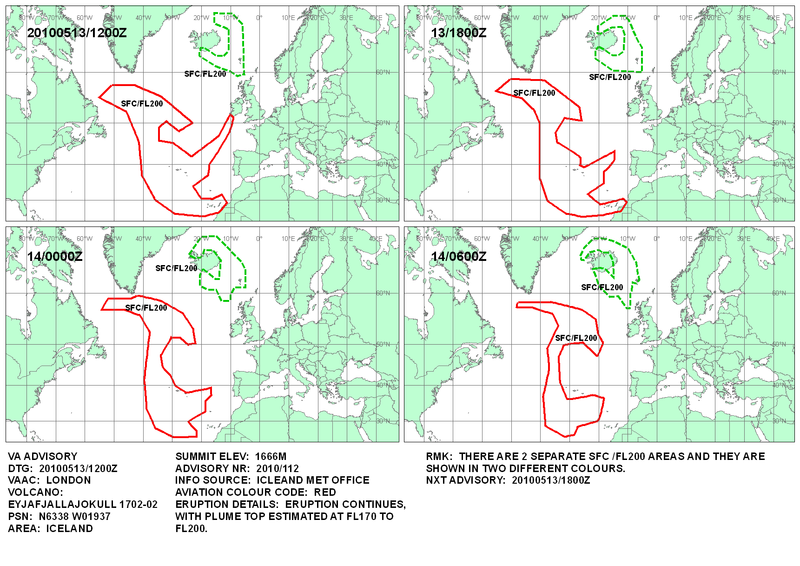 From Iceland Met Office. The number total changes with the clock, but 100 plus detectable quakes in a 48 hour period is nothing to sneeze at. These earthquakes were only the ones around the eruption. We are now beginning to see increases in magnitude and frequency across all of Iceland. There is little doubt that seismic eruptions and deformations in the earth’s crust could cause magma to flow toward fractures around the larger Katla volcano. RUV reports a series of earthquakes under and around Eyjafjallajokull which could signal changes to the volcanic eruption. According to geophysicist Steinunn Jakobsdottir, the quakes could be a sign of a new vent about to open. The volcano already has three vents, but only the one on the northernmost edge is still erupting. Today’s earthquakes locations are all over Iceland, as opposed to just being centered around Eyjafjallajokull only reporting 3 mild quakes so far. Connect the dots and there is a pattern. Perhaps the level of Magma is rising and spreading. We’ve all heard about the chance of another volcano eruption and maybe these changes are a significant predictor of things to come. In the below image you can see the plate boundaries, and that is where most of the quakes are occurring. Looking above ground and watching the numerous web cams we found a live video stream for May 11, 2010 that has an unknown object flying around http://img269.imageshack.us/img269/9734/volcan0.mp4. The stream was recorded from this site. http://mulakot.net/images/myndavelar/14flugv.jpg It is a condensed 6 hours in 40 seconds, each frame is 15 seconds apart or close and runs a minute or two long. A UFO, a spotter plane, a Chinese lantern? What ever it is, it is flying about in the Tephra fallout. One has to wonder if the recent horrible plane crash has any correlation to the ash? http://edition.cnn.com/2010/WORLD/africa/05/13/libya.planecrash/ If the finding show ash in the engines, it will be a wake up call for the airline industry and the scientists who predict ash levels. [link to volcan-islande-live.media.officelive.com] traffic airline, livecam, image hd, diaporama (updates 1h). Go figure, at 9:35 am 05:36:11 UTC- a 5.1M earthquake struck off the coast of Oregon, USA. Some of these quakes getting closer to fault line toward Helka and Katla, which if she blows will certainly send folks running for the hills. The Seismic Station, Godabunga located between Eyja and Katla and is dancing up a storm. We know of four Eyjafjallajokull eruptions in the past [dating back to AD 500] and in three out of these four cases, there has been a Katla eruption either at the same time or shortly after. “By shortly, I mean timescales of months to a year. “We consider that the probability of Katla erupting in the near future has increased since Eyjafjallajokull went.” But we know there are fissures running between the two volcanoes. And they’re quite close to each other. A new webcam has been added with thermal imaging. Watch the show at http://www.flir.com/thermography/eurasia/se/data/?id=30533 . Due to server bandwidth limitations, you may need to refresh the page (F5) to see the video stream, the images are worth it. UPDATED at 12:54 p.m EST, 60 Earthquakes in Eyjafjallajokull region so far today. Visible Volcanic Shockwaves and UFO’s? Iceland’s rumbling, smoking volcano Eyjafjallajokull shows rainbow-like shockwaves belching from the crater like snakes from a can of nuts. Nothing to fear, though, it’s merely the aftereffects of Plinian events. via Fox http://www.foxnews.com/scitech/2010/04/23/stunning-new-video-shows-shockwaves-icelands-volcano/ The video was loaded April 20, 2010. Nothing to Fear? Fear itself? The explosions are called Plinian events, after the historian Pliny who described the eruption of Vesuvius in 79 AD. The gases expand rapidly and separate from the magma, causing explosive bursts of tremendous magnitude equivalent to a significant dynamite explosion. As the video shows, the explosion hurls incandescent blobs of lava hundreds of feet into the air — and cause visible shockwaves. Bursts of tremendous magnitude? As big as a dynamite explosion? Visible shockwaves? Mmmm? The seismic activity surrounding the volcano isn’t showing the kind of activity you would expect from an eruption large enough to create visible shockwaves. The GPS stations have provided important constraints on the evolution of the activity at the volcano. Thorvaldseyri (THEY) started moving south in the end of December followed by rapid deformation at Skogaheidi (SKOG) and Steinsholt (STE2) in the weeks prior to the eruption. Stations Solheimaheidi (SOHO) and Godabunga (GOLA) have also shown significant deformation due to the activity. Two new sites were installed in the two days prior to the eruption on Fimmvörðuháls (20. March), FIM2, a quadripod station on Fimmvörðuháls, and BAS2, steel rod in Básar. Another steel rod site, SVBH, was installed north of THEY and closer to the summit crater on the 15. April, day after it started erupting. Hard to believe something so simple looking could provide so much data. Surprisingly though, the readouts aren’t showing the kind of shifts one would expect from an earthquake spewing lava. The U.S. Geological page shows absolutely no readings from this volcano. http://earthquake.usgs.gov/earthquakes/recenteqsww/Quakes/quakes_all.php. A few quakes are being reported at Iceland Mets Physics Department at http://hraun.vedur.is/ja/englishweb/. Visible shockwaves aren’t uncommon, occurring with any volcano having an explosive eruption, Quick explained.(sic. Associate vice president for research and dean of grad studies at Southern Methodist University) On the smaller scale, Plinian events cause them and lead to ejecting blobs of lava. But Quick notes that such rumbles can have much greater ramifications. “On the larger scale, they cause Plinian eruptions like Mt. St Helen in 1981,” he pointed out. via Fox News. A perfect sphere or just the sun? A lense flare caught at just the right moment? The Iceland volcano UFO was a single scout craft of the terraforming fleet, serving within the Federation. A craft of the member Star Nation of Tau Ceti…from the constellation of Cetus 11.8 light years away….. So not actually a “formation,” as conjectured..
April 23, 2010. What is that OBJECT? Eyjafjallajokull volcano 23th of April 2010. Ten Minutes Later. Another UFO, a solar lense flare? What? You can still watch the eruption through the clouds. Vodafon has imposed limited access unless you live in Iceland and the Mila.is webcams gets overloaded. Photos in ten minute increments are at http://picasaweb.google.com/102175391233488315229. Here is a lovely shot of the sun over the volcano from this morning-sans UFO’s and lense flares. Enjoy the weekend!